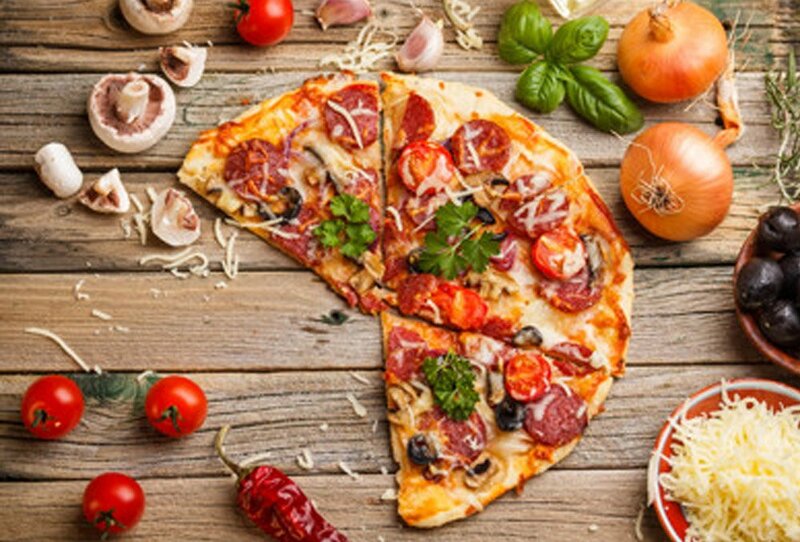 We believe our pizzas must be made using the very best ingredients we can source and to do this we follow an authentic Italian recipe giving a crisp thin crust. 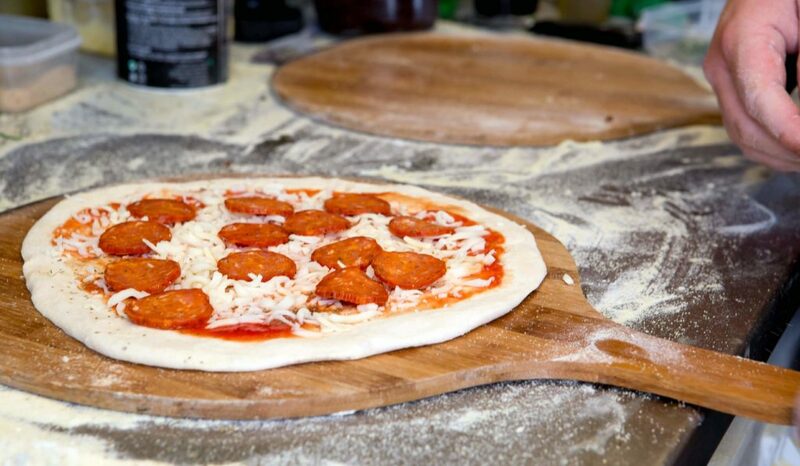 Our dough is always fresh and contains just quality flour, yeast, water and extra virgin rapeseed oil. Our tomato sauce is freshly made, using the finest San Marzano tomatoes grown in the foothills of Mount Vesuvius, giving a unique flavour, freshly torn basil and a little garlic. 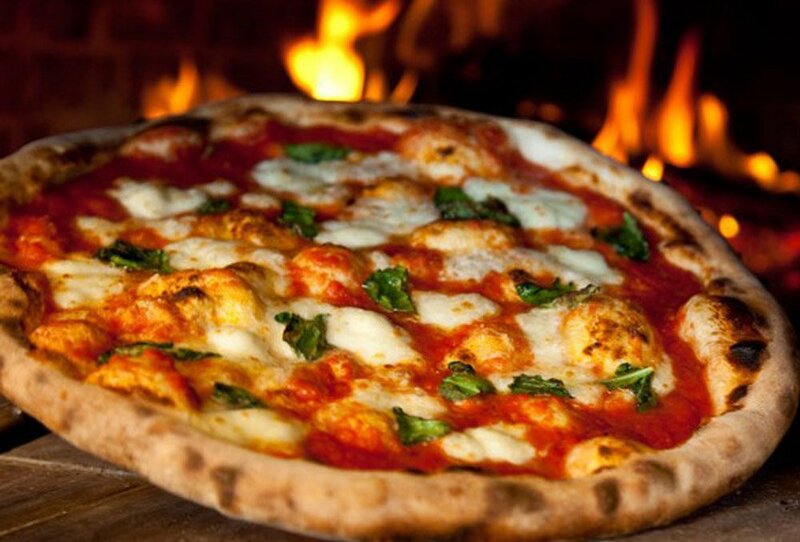 What gives our pizza that unique wood-fired taste is stone baking them at an extremely high temperature. 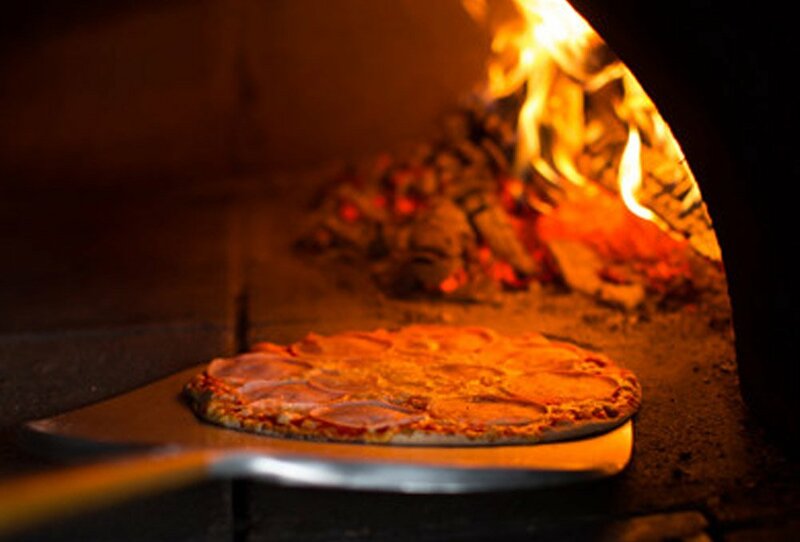 Our authentic Italian wood-fired oven reaches temperatures of over 400°C on the stone base and over 500°C from above, which bakes our pizza base very quickly giving that authentic taste. Our menu changes regularly so we can bring you some fantastic seasonal varieties, but you’ll always find the usual favourites, like our classic Margherita, it’s made with our delicious tomato sauce, mozzarella and fresh basil – simple and tasty, or our spicy pepperoni, made to a traditional Italian recipe. However, if you’re in the mood for something a bit different, why not try our garlic sauteed Norfolk mushrooms with fresh thyme and a dusting of parmesan, or French Goat’s cheese with bursts of caramelised red onion – delicious! We have over 20 different pizzas on our menu so please get in touch if you’d like a copy.